People who come to visit the Inca City of Machu Picchu in Cusco – Peru, usually forget the importance of having a free time during their trip. A vacation in a country as diverse as Peru, makes the day to day of your visit, full of activities and exciting excursions, but do not forget that you must take time to recover from the trip and adapt not only to the altitude, but The new time zone and the culture of a country as diverse as Peru; Or just to enjoy great views and scenery. 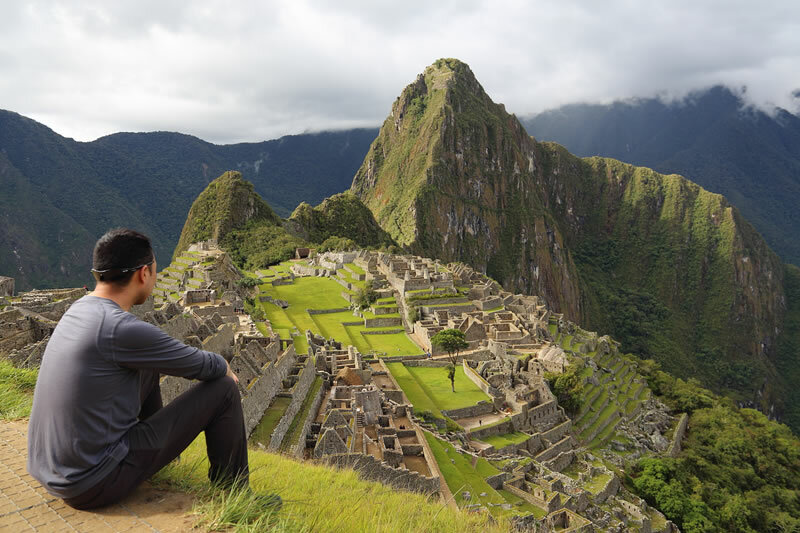 Here are some reasons why you should include some free time on your trip to Machu Picchu in Peru. Getting to Machu Picchu, in many cases from the other side of the world, can be very tiring, and it may alter your sleeping patterns. So we recommend you have enough time to rest and enjoy your trip better. Schedule in your itinerary, at least one day of rest after arriving in Cusco; In this way it will regain strength; In addition, a good rest can help you to avoid suffering the acute ill of mountain or “altitude sickness“, and to prepare for what is coming; Especially if you intend to reach Machu Picchu by the Inca Trail. If you decided to reach Machu Picchu by the Inca Trail, the trek through the Salkantay, or by the Inca Jungle Trail; Make sure you have a free time before venturing to any of them; To overlook this step could cause, in addition to much fatigue, the possibility of getting ill from altitude sickness and having to alter its itinerary to avoid complications. A free time will allow you to adapt not only physically but mentally, to the new environment in which you will find yourself. In its stage of adaptation there are some aspects to which it should take special attention. If you have traveled from places outside the American continent, you are likely to experience symptoms of Jet lag (temporary misalignment of body functions after a long plane ride). The symptoms of Jet Lag include extreme tiredness; As well as headaches and upset stomach. And it is caused by the trip to a different time zone than usual. When arriving to the City of Cusco you should avoid heavy meals and exhausting activities, especially before bed. Expose yourself to sunlight as it will help you regulate your biological clock. There are many ways to avoid being affected by the time zone change; However, in Cuzco it is very common to drink mate of coca (infusion of coca leaves), since it is a powerful relaxing and digestive, which will not only help you with the symptoms of Jet lag, but also to avoid the evil of height. The rugged geography of the department of Cusco makes it possible to experience a variety of altitudes. The airport of Cusco, for example, is located at more than 3,300 meters above sea level, while the Inca City of Machu Picchu is located at a little more than 2,400 meters above sea level. Free time will allow you to avoid health problems caused by elevation changes in Especially if it comes from cities near the sea level. A correct acclimatization, will help you significantly minimize the risk of suffering from altitude sickness (soroche), which is the body’s natural reaction to changes in height. When you are acclimated to the height of the City of Cusco, you should not have any problems with the altitude of Machu Picchu. Before arriving in Cusco, read about altitude sickness and ways to combat it. It is necessary that your body adapt to the temperatures of the city of Cusco, whether it comes from warmer climates or colder places. Also remember that the proximity of Peru to the equator, makes it have pleasant climates, but also causes a higher degree of radiation, so it is advisable to protect against the sun; Hat, sunglasses, and sunscreen will suffice. Sitting in the sun without moving, will not make your body acclimate to the heat. It is best to take walks for short periods of time, but be sure not to tire yourself. If you take the necessary measures to adapt to the environment of Machu Picchu, you only have to enjoy your vacation; Discover the hidden gems of the Imperial City of Cusco and the town of Aguas Calientes on your own; You can find cafes, bars, parks, hidden traditional streets, etc. Here, some of the activities you can do during downtime, before your trip to Machu Picchu, but remember first of all, that the most important thing is to have a good rest time. Take a stroll through the historic center of Cusco. Read a book in the Plaza de Armas of Cusco. Drive in the Sacred Valley of the Incas. It’s your turn to go out and explore, but remember to get plenty of rest. Plan your own trip through Peru and Latin America. And contact us info@boletomachupicchu.com, to secure your Machu Picchu Ticket in any of its versions, remember that Machu Picchu has a limited number of daily income. Book early.